Community altar project at the Riverside Art Museum. Photo courtesy of the Riverside Art Museum. On every public policy challenge other than climate change regulations, the state seems stuck. We can’t transform our underfunded and underperforming education system to meet the needs of our diverse people, expand our universities to prepare for future economic requirements, or build nearly enough affordable housing. Silicon Valley, which still bills itself as savior of California and the world, has revealed itself to be more interested in grabbing our data and selling us ads than in making society better. And the vast majority of Californians don’t even bother to vote, much less engage in civic and neighborhood life. Too many of us are lonely and disconnected. The state’s arts sector is wrestling with all these same challenges: invasive technology, diversifying demography, fading engagement, stagnant education, scarce public resources, economic inequality. Over the past 18 months (after being assigned to edit a series on arts and society), I stepped out of my usual civic-governmental comfort zone to embark on a crash course in how arts organizations are trying to engage us not only with the arts, but also with each other as citizens and community members. The experience has left me uncharacteristically optimistic. While the arts can sometimes mirror the state’s larger dysfunction, the arts also may be the sector of California best positioned to lead us out of this dark time. Today, the arts—both in practice and institutionally—retain credibility that other human pursuits such as mass media, politics, medicine, and big business have lost. In surveys, the biggest complaint that Californians voice about the arts is that they don’t have time to enjoy all their state’s many artistic offerings. And the arts are a particular California strength, given that they combine our people’s deep interests in self-expression and self-improvement. What’s more, the arts are vital institutions even in our smaller cities: Visalia has its own smart symphony and risk-taking opera, and Modesto has California’s best community band. (Don’t believe me? Check out its Thursday night performance next week at the Mancini Bowl). And while technology can leave us feeling isolated in our separate virtual realities, the arts connect us, and give us a sense of meaning, accomplishment, and even happiness. Researchers have shown that people who participate in arts and culture are more likely to vote, belong to social and civic organizations, know their neighbors, and do charitable work. 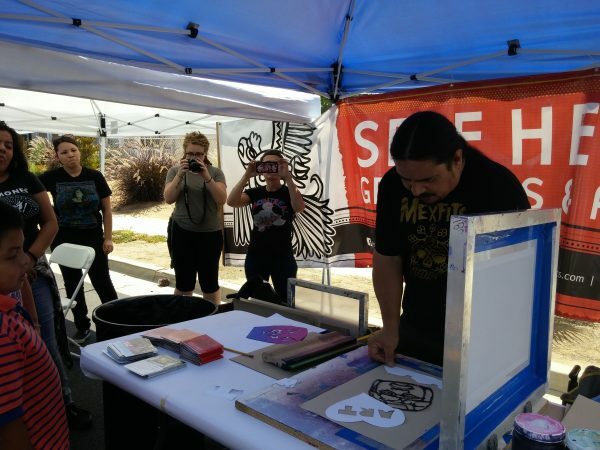 Eastside Community Festival with Self Help Graphics. Photo courtesy of the Riverside Art Museum. The arts, in other words, encourage us to be sociable. And sociability is becoming a lost (and thus more valuable) art in itself, given how our lives are dominated by screens. In fact, I’d like to propose that the arts could be the secret sauce of a revival in California’s civic culture. If participating in politics gets you down (and it does), why not skip that city council meeting to take in a local concert or paint with your neighbors? Those are activities that offer the opportunity to exercise creativity, imagination, and empathy—all of which we’ll need to solve society’s most complicated problems. What’s the secret of the success of the arts? I’ve been struck by just how much healthy self-criticism there is in the arts. Talk to arts leaders or read the reports they produce, and you’ll hear all kinds of talk about failures—especially about the gap between the level of service the public needs from the arts and what our arts organizations currently give. Part of that shortfall is about money: Everyone fears becoming a “zombie organization,” whose only real mission is to scrounge up enough money to survive. But part is about a lack of ambition and imagination; more arts organizations, especially those that are tax-exempt non-profits, should be putting service to the public over their own institutional needs. California is home to many powerful experiments in breaking down walls between the arts and people. 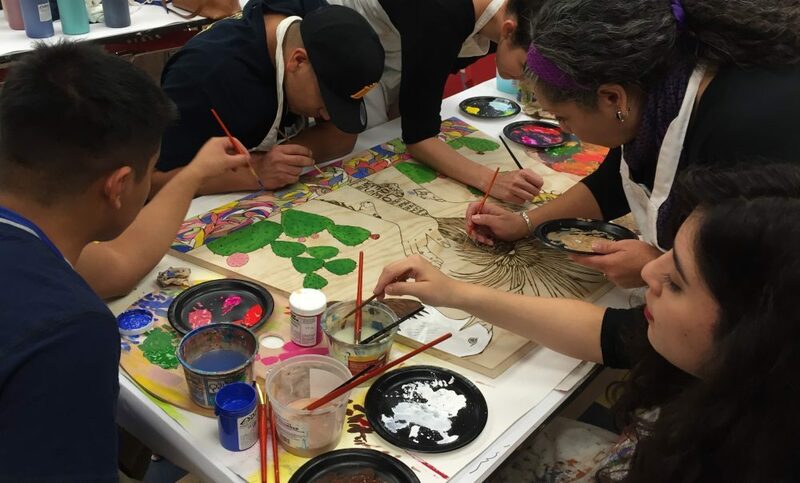 The Riverside Art Museum sends staffers to all kinds of community events, from block parties to neighborhood festivals, curating work it supports and conducting surveys on local arts needs. Inside the museum, Riverside makes room for local people to make and display their own work, collaborates with community groups on exhibitions and events, and engaged University of Redlands students to put together an online map of community artists. The arts … could be an antidote to the antisocial attitudes of Silicon Valley that have trickled into governance. When is the last time you saw institutions outside the arts promote that kind of outreach? And the arts could do even more for California. So many industries and organizations are trying to reach the young. But the arts actually do it; when it comes to the making of art, 18- to 24-year-olds are the age cohort most likely to participate. And, amidst a stressful deluge of digital distractions, arts organizations are models of how to filter, so that we see what deserves attention. (It helps that you have to silence your cellphone and resist texting while attending a play or an indoor jazz concert, at least for a couple hours.) Infusing more arts into politics could revive the latter, possibly convincing more young Californians to actually vote in local elections. The arts also could be an antidote to the antisocial attitudes of Silicon Valley that have trickled into governance. The arts are a case study in the importance of giving people what they need, and the folly of giving them what they want. Scholars have shown how technology and sophisticated audience research can be self-defeating; web sites that give us what we want give us too much of the same thing, thus constraining creativity and artistry, and ultimately disappointing audiences. The arts stand as a direct rebuttal to this data obsession because great art, and the feelings it inspires in us, can’t be quantified, or justified, by audience numbers or by dollar-for-dollar economic studies—even in those cities that chase art as an economic development strategy. All this is an awful lot to ask of the arts, particularly at a moment when arts funding is hard to come by in California and the Trump administration is trying to zero out the budget for the National Endowment for the Arts. But our arts organizations provide us with one of the few hopeful templates for pulling together broad networks of people and imagining very different realities in California. Which is why we need the arts now, more than ever.